Improve your learning and boost your brain power! 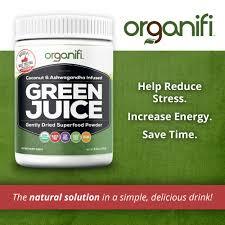 Organifi green drink puts your brain and body in a peak state for learning! All organic ingredients clear out the brain fog, hydrates your body, and keeps your blood sugar stable. Better learning takes place when you are relaxed and have the best brain improvement nutrients possible! In all our research at HowtoLearn.com for over 22 years, this is the very best brain improvement product we’ve found that puts you in the best state for learning. Organifi helps you reduce stress, gives you a powerful energy boost, improves your energy and provides cognitive benefits that give you a learning advantage. With over 8,000 5 star reviews, this is the brain improvement product we recommend most. Tastes great and I have so much energy after I drink it. It calms my stomach too. Belinda M.
Love it. I can definitely feel the difference in my mental being. I am more energized and relaxed. CLICK HERE TO READ MORE ABOUT ORGANIFI AND GET YOUR 60 DAY MONEY-BACK GUARANTEE NOW. Do you have a learning product that you want to share with 2.4 million parents, teachers, homeschoolers or adult learners? Click here to contact us for more information.